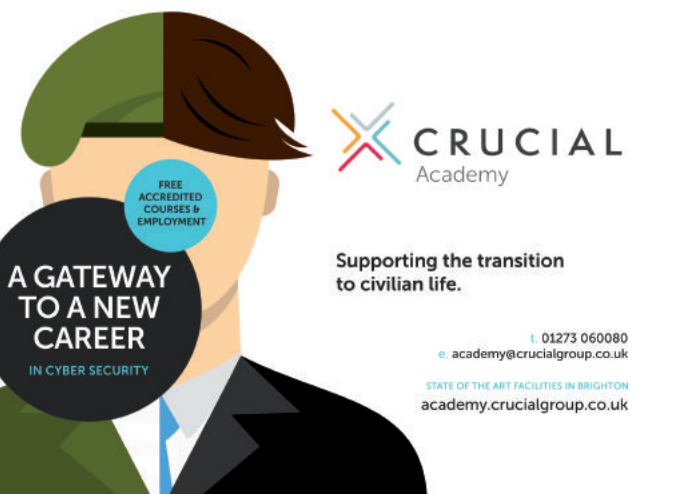 Crucial Academy offers accredited training courses covering both offensive and defensive cybersecurity, information assurance and threat intelligence. The courses, developed by former Military personnel, include a module that gives students real-world experience, but unlike graduates of other training providers, Crucial Academy graduates will reportedly begin their new careers free of debt. Course developers have already made a successful transition to notable cybersecurity companies and financial technology companies, and they bring that wealth of experience to their offerings at Crucial Academy at its state-of-the-art training facility in Brighton. In order to take the courses, candidates must first undergo a rigorous selection process that assures they are the proper match for the pathway. After successful completion of the training, qualified Crucial Academy candidates are introduced to a cybersecurity career with one of the academy’s commercial partners. The Academy has had several successful graduates that have begun their careers at top employers including: Grant Thornton, KPMG and QinetiQ. According to a 2016 skills gap analysis from ISACA, there will be an estimated global shortage of two million cyber-security professionals by 2019.